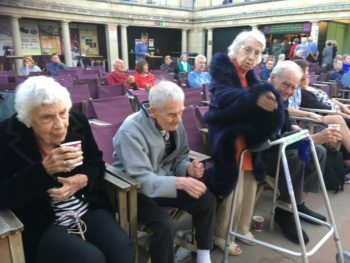 For the elderly, particularly those with dementia, keeping active, engaged and socially stimulated is incredibly important. Social interaction is what older people really need, said Nial Joyce of Clifden House Dementia Care Centre. Deena McCormack, our activity coordinator at Clifden House, Seaford, advises a minimum of one outing or stimulating activity a day in order to maintain optimum physical and mental health benefits. “When people are well-stimulated and live meaningful lives, they’re going to eat well. They’re then at less risk of dehydration and falling, therefore happier and, of course, it lowers the risk of hospital admission,” said Deena. 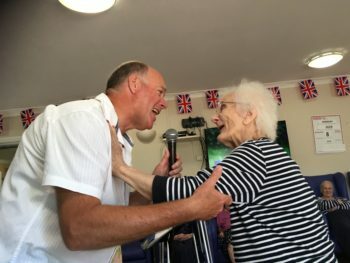 From trips to Eastbourne bandstand and fireworks display, to leisurely garden walks, painting and afternoon tea dances, Clifden House residents benefit from gentle stimulation and lots of variety – which is the spice of life. On September 7, Clifden House is also having a visiting farm come to the Claremont Road dementia care centre. The Millers Ark Farm, complete with donkeys, goats, geese, chickens and much more, will bring the sights, sounds and experiences of the farmyard to the heart of the home. Clifden has also invited a local nursery school to come on the day to experience the farm too. 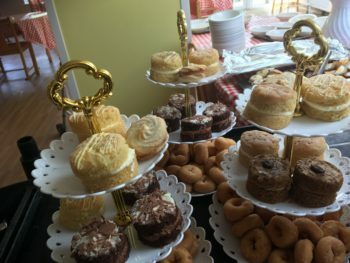 “Intergenerational social time has been proven to add value to both the old and young, and at Clifden House we like to develop opportunities, like the visiting farm, to create these perfect opportunities for the benefit of all,” comments Nial. The concept of intergenerational care began in 1976 when a nursery school and a care home were combined in Tokyo. Since then, there have been successful schemes across Europe, Australia and the US.